WASHINGTON — Marijuana now has its own official club in Congress, thanks to Colorado congressman Jared Polis and three of his colleagues. The Boulder lawmaker on Thursday joined with fellow Democrat Earl Blumenauer of Oregon, as well as Republicans Dana Rohrabacher of California and Don Young of Alaska, in launching the Cannabis Caucus — a group dedicated to promoting and protecting the nascent industry of legalized weed. The effort comes at a critical time for the industry. Though it’s made strides nationally, and settled comfortably in Colorado since sales of recreational marijuana began in 2014, there remain a number of pressing issues — starting with President Donald Trump’s appointment of Jeff Sessions as U.S. Attorney General. The former Alabama senator has raised concerns about the drug and said previously that “good people don’t smoke marijuana.” The attitude has prompted anxiety among cannabis companies who are nervous that federal authorities under Trump and Sessions could take a more combative stance toward states that have legalized marijuana. Federal scenarios: What will be AG Jeff Sessions’ first move on marijuana? He added the Cannabis Caucus also will be active on legislation related to marijuana. 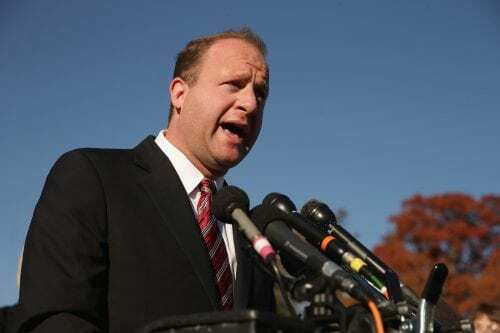 “Issues ranging from banking to tax deductions to employment issues to potential for enforcement,” said Polis, who highlighted his own bill that to regulate weed like alcohol. The new Cannabis Caucus will be among more than 200 different issue-related groups that have attracted like-minded members of the House. They range from the serious, such as the Bipartisan Taskforce for Combating Anti-Semitism, to groups that have rallied around specific causes or industries, including the Bourbon Caucus, the Motorcycle Caucus and the Rugby Caucus. The industry, Polis said, provides money for schools, creates jobs and bolsters the economy as opposed to supporting cartels and addicts. This caucus “is an opportunity to show that the consumers and entrepreneurs in the marijuana industry are an important part of the American economy and there’s an impact on jobs if the federal government doesn’t repeal this outdated provision,” he said. The organization is seeking a commonsense approach to address “antiquated provisions” equating marijuana to heroin, he said. To Rohrabacher, it’s a matter of supporting the individual freedoms supported by the U.S. Constitution. The Founding Fathers did not want the federal government to interfere in people’s personal freedoms, he said. Rohrabacher added that the caucus needs to “touch people’s hearts as well as their heads,” saying the issue is critical to some Americans’ health and well-being. He also noted last year that about 20 members of Congress participated in a bipartisan working group on marijuana issues.